The UN Commission on Crime Prevention and Criminal Justice will convene in Vienna between 14–18 May 2018. 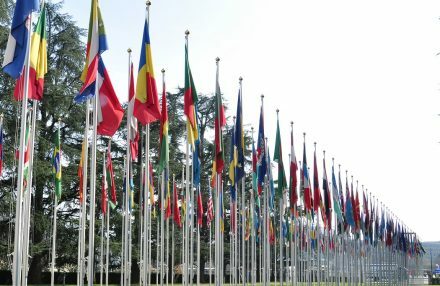 The UN Crime Commission meets annually and is the principal policymaking body of the UN in the field of crime prevention and criminal justice. It is therefore of key relevance to PRI’s mission. The Commission is the preparatory body for and implements many of the recommendations of the Crime Congress – a meeting held every five years (the next being in 2020 in Japan). At this year’s Commission, PRI will be hosting various side events as outlined below, and will launch the 4th edition of the Global Prison Trends series. Women and HIV in Prison, 1.10–2.00 pm, Conference Room MOE100. Organised by the Governments of Norway and Sweden, the UNODC HIV/AIDS Section and Penal Reform International. Organised with the Thailand Institute of Justice, this event will launch the annual publication Global Prison Trends 2018, which describes key global trends in the use and practice of imprisonment. Its Special Focus section is dedicated to ‘The rehabilitation and reintegration of offenders in the era of sustainable development’. Download the flyer. Organised together with the Governments of Norway and Portugal, the American Civil Liberties Union and the University of Nottingham. At this event, a new policy briefing, Life imprisonment: a policy briefing, will be presented, which sets out the current status of life imprisonment, and calls for action by the UN and member states to reform it. Download the flyer. Organised by the UNODC Prevention, Treatment and Rehabilitation Section, the UNODC HIV/AIDS Section, the UNODC Justice Section and Penal Reform International. At this event, PRI will present a new publication, Mental health in prison: a short guide for prison staff. Download the flyer.